Yesterday was a busy day. It started off with me working on some cartoons for our vet’s new web sites, then we walked down to the A’Fair down in town square here in Hernando. 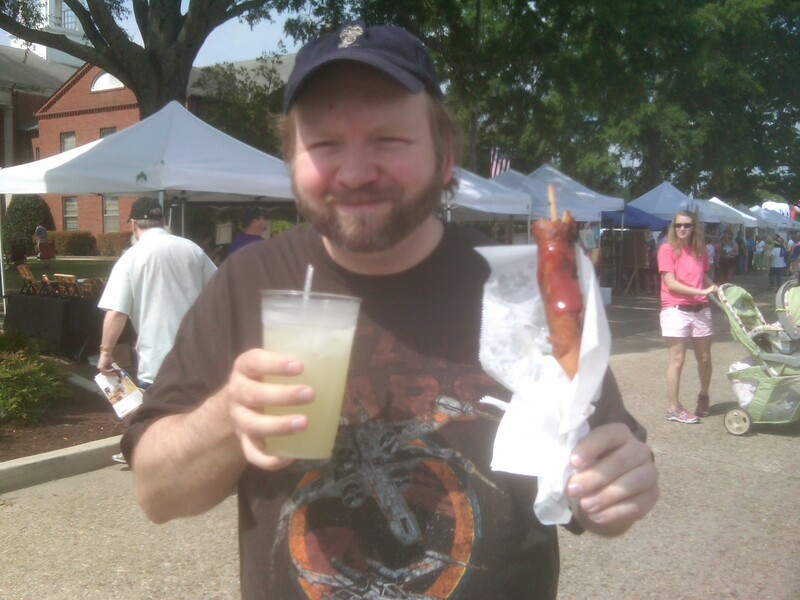 Started it off with a footlong corndog and a lemonade for breakfast. Man that was good! Bought a bag of pork rinds, some Banana Butter and Piña Coloda jams, and some cool flattened wine bottles that are wall art and a cheese cutting plate. We decided to try the new Italian restaurant Vennie’s Place for lunch and decided we’ll definitely be back for dinner soon. 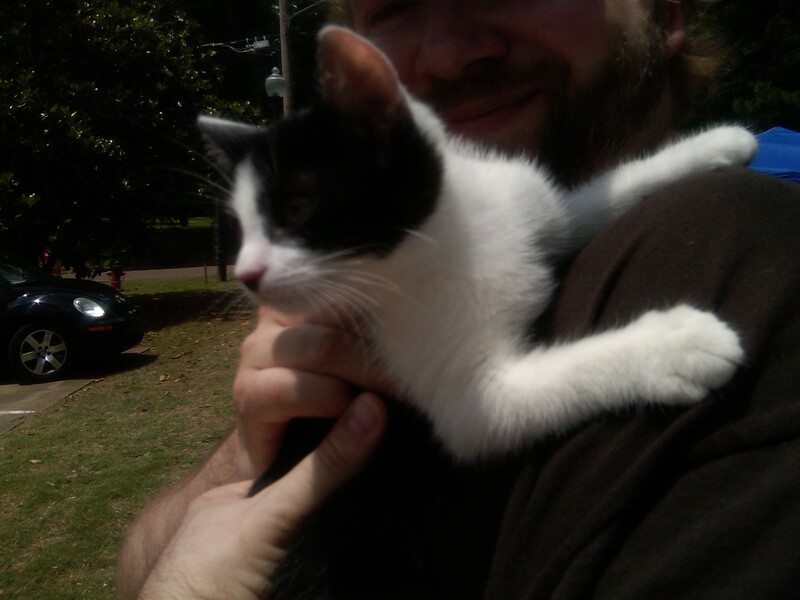 We got her at the DeSoto County Animal Shelter‘s adopt a pet booth- same shelter we got Zayne and Jarael from. We saw Harley (then “Tillie”) with her sister “Millie”, a cute gray cat with markings similar to Zayne’s. I thought about adopting Millie, but decided to walk and talk about it some more with Nicki. I thought, “Ok, if she’s still there after lunch when we’re ready to go back home I’ll get her.” Well, when we got back I saw Millie being adopted by a little girl (with her face painted like a cat) and her mom. I went over to the trailer and saw that Tillie (our future Harley) was still there. She came over to the window and then began to play. I didn’t feel bad about breaking up the two now and knew she was perfect for us. Apparently a lot of other folks felt the same way because they stayed busy filling out adoption papers, doing shots, and micro-chipping many of the animals there. We took our Harley home and she and Jarael started chasing each other all over the house. 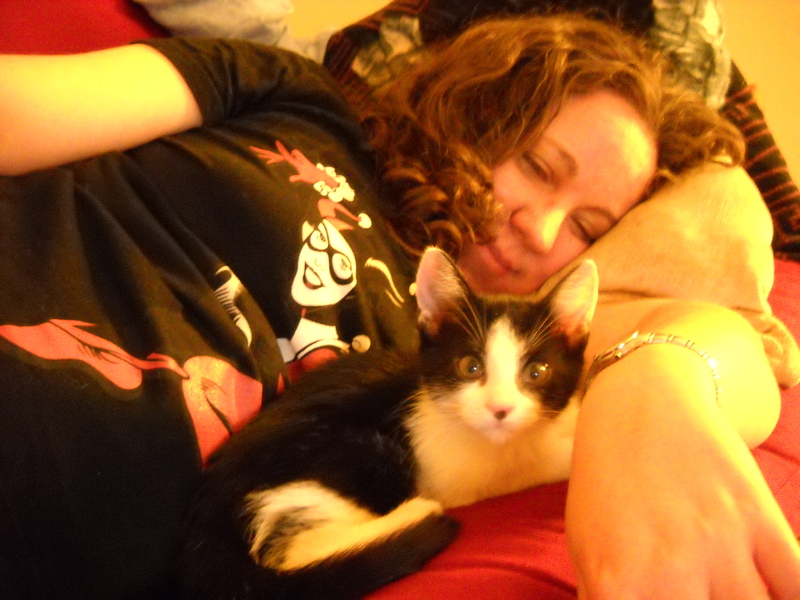 She’s a real cutie and a great snuggle-kitty. So far she and Jarael have gotten along really well and are respecting each others’ space. Well, except for when Harley trespassed in Jarael’s “escape pod” and Jarael had to dish out some kitty smack down. 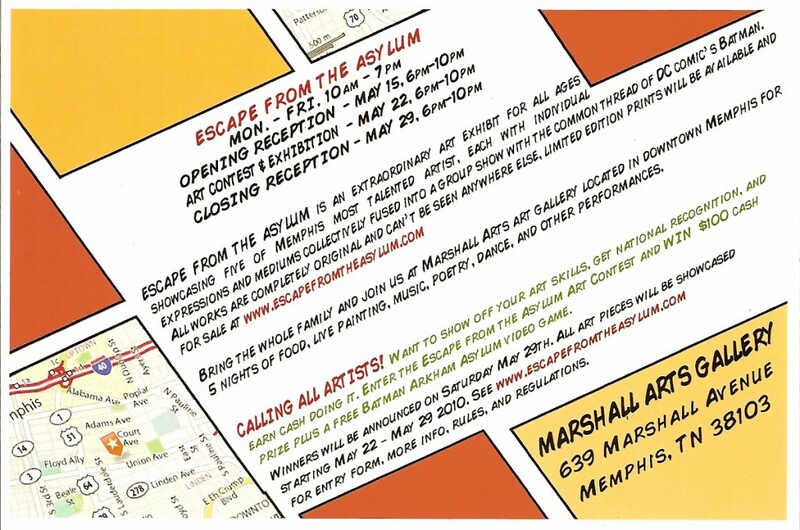 Later we left the kids at home and headed to downtown Memphis for the “Escape From The Asylum” art show at Marshall Arts, just down the street from Sun Studios. It’s a Batman themed art show by artists John Bullock, Jamond Bullock, Patrick Fabor, Tony Brown, and Joseph Boyd. John A. Bullock and his Jokers. Digital Catwoman by Tony Brown. DaMarco checks out one of Patrick Fabor’s Scarecrow drawings. Nicki with Jamond Bullock’s Harley Quinn painting. Poison Ivy Pumps by Joseph Boyd. We had a great time looking at bat-art and talking comics with everyone. Although I felt a bit overdressed with my bat-hat. More pics from the show on my Facebook page. Show continues through May 29th. 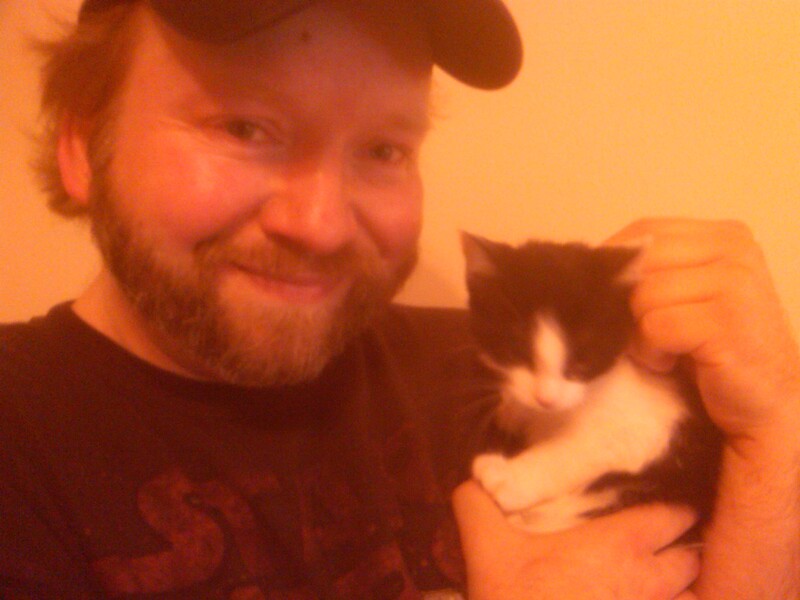 Now if you will excuse me I have a new kitty to go play with.